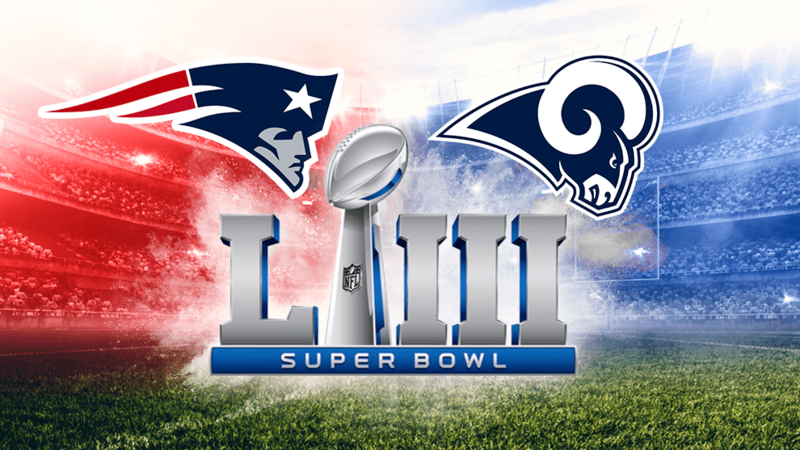 The Patriots led by Bill Belichick and the Rams led by Sean McVay will make this Super Bowl worth watching. With McVay being the youngest coach and Belichick the oldest, the event is definitely going to be an interesting watch. Will Bill Belichick add to his Super Bowl legacy, or will Sean McVay start his own? The big game is fast approaching, and if you’re still itching to watch it, we know exactly how that can work out for you. Super Bowl LIII will be televised by CBS, which only US members have access to. Due to geo-restrictions and licensing issues, CBS cannot be streamed abroad. But, don’t panic just yet. NFL fans can still watch the grandest football event of the year even if they aren’t in the US. To do that, one must remove geo-restrictions imposed on the CBS channel. That can be easily done via a VPN service provider. A Virtual Private Network is the technology to create a secure private network between two hosts. It allows you to connect to another secure server from your location and thus your IP address will be changed. At that point, all the previously inaccessible websites will think that you are located somewhere you’re not. As a result, you get to access what you normally couldn’t before. Sign up with a VPN provider, ExpressVPN is the right tool to start with. Sign in with your VPN account and connect to a US server. If you’re not certain yet, see if you got your new IP with our IP checker. Finally, stream the Super Bowl anywhere abroad. ExpressVPN is one of the world’s most popular VPN services. It enables you to connect to the internet through a Virtual Private Network link. It’s a good offering with an intuitive interface. Its VPN software runs on most devices and operating systems. The services it has to offer are unmatched, and that’s why it tops our list in regards to VPNs. Each year the Super Bowl takes place on the first Sunday in February. This year that means the Super Bowl will happen on Sunday, February 3. Super Bowl LIII will take place at Mercedes-Benz Stadium in Atlanta, home of the Falcons. It’ll be the first Super Bowl hosted at the stadium. Maroon 5 will be headlining the event. Travis Scott and Big Boi have also been added as guest stars as well. While the kickoff time still has to be announced, last year’s game began at 6:30 pm ET (3:30 pm PT, 11:30 pm GMT) so expect things to start around the same time this year. If you are traveling, you can still watch the Super Bowl live online. Other than CBS Sports, international viewers can catch the Super Bowl on BBC Sports as well as Sky Sports. The point is you can watch the game anywhere you might be without any difficulty whatsoever.